Chateau Reve and McGraw home in Point View in 1917. After dedicating the better part of two years to convert a swampy marsh into land worthy of development, Locke T Highleyman was ready to move forward with building his family home. The lot he chose was located in a prominent position along South Bay Shore Drive with an unobstructed view of beautiful Biscayne Bay. By the spring of 1915, the architectural plans were finalized and the lot was ready for building. The construction pace moved swiftly, and the home was ready for occupancy before the end of the year. However, just as the Highleymans were getting settled in their extravagant new home, Locke accepted an offer that he could not refuse. 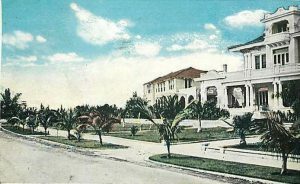 Figure 1: August Geiger designed Fisher home, The Shadows, on Miami Beach. August Geiger moved to Miami in 1905 after developing his skill for architecture in New Haven, Connecticut. He was the tenth registered architect in the State of Florida. He opened his own firm in 1911 and later expanded to Palm Beach in 1915. Prior to being hired to design the Highleyman home, Geiger provided plans for buildings that are considered iconic structures today. He designed Villa Serena for William Jennings Bryan in 1913. He also designed the Homestead Public School in 1914, Southside School also in 1914, and the Miami City Hospital known as The Alamo in 1915. Later, Geiger had a prominent role in the development of Miami Beach. He designed the Miami Beach Municipal Golf Course House in 1916, Fisher’s Lincoln Hotel in 1916, and Saint Francis Hospital in 1924. He also was the architect of Carl Fisher’s home, ‘The Shadows’, on Miami Beach. These are just a few of the many projects in which Geiger had influence. Figure 2: Chateau Reve in 1915. Although it isn’t clear when it was named or who named it, Geiger’s design for the first Highleyman family home in Point View was given the name of Chateau Reve. The name is French for “Dream Castle”. The home was located at 1412 South Bay Shore Drive. 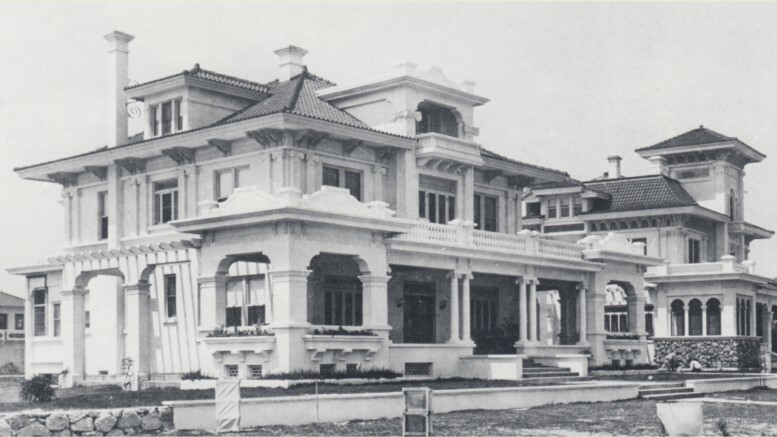 The home was initially described as “English design” in a Miami Herald article in August of 1915. It was described as “French Normandy influence in its architecture” in a later article (1947). Regardless of its description, the home was extravagant. The lot was 150 feet wide along South Bay Shore Drive and 500 feet deep. The grounds were well landscaped with tropical plants. The driveway was lined with Royal Palm Trees and led to an enclosed car entrance. The upper room of the garage had a four room apartment. The home was three stories in height and was enveloped by a terrace. It possessed seven rooms and a bath. The first floor included a reception hall, a large screened porch, living room, dining room and a butler’s room. The living room was finished with mahogany. Other parts of the interior were done in white enamel. All closets were accessorized with mirrored doors. The second floor included four large bedrooms with two connecting tile bathrooms. The second floor sun deck wrapped around the front and sides of the home. The sun deck was accessible from the center. A large enclosed sleeping porch and sun room were at the rear of the home on this floor. The third story consisted of two more bedrooms and a bathroom. There were front and rear sun deck balconies on this level as well. Figure 3: Chateau Reve and McGraw homes in 1920. The Highleymans lived in their new Point View home for just a couple of months when James P. Logan approached Locke and made an offer to buy the home in February of 1916. Logan was the president of the J.P. Logan Company in New York. According to the Miami Herald article reporting the sale, Logan’s company was the “largest white goods establishment in the country”. Logan’s primary residence was located in Asbury Park, New Jersey. Chateau Reve was a second home to get away from the winters in New Jersey. The article detailed the terms of the sale. Logan offered Highleyman $50,000 for the property. Considering that it only cost Locke $10,000 to build, he felt it was too good of an offer to pass. At the time of the sale, Highleyman was intent on keeping his family in Point View. He was quoted in the Miami Herald as saying: “I will not leave Point View. In the event that I sell my other home, I will certainly build another”. Highleyman agreed to sell the home under the condition that he and his family could live there until they built a new home. Logan agreed to the condition and took ownership in November of 1916. Figure 4: Highleyman’s first and second homes in Point View. After agreeing to sell his home to Logan, Highleyman once again hired August Geiger to design the second family home in Point View. He hired George Sykes & Co. to build the home. The second home was just as lavish and large as the first. It was designed in an Italian renaissance style of architecture. It consisted of twelve rooms with a large servant quarters. It was located directly to the south of his first home at 1418 South Bay Shore Drive. The project began in July and was completed in early November of 1916. The completion of Highleyman’s second home occurred at the beginning of the winter season and just in time for JP Logan to close and move into his new winter home. Figure 5: Ad in Miami Herald in 1925. Witham selling Chateau Reve. Logan and Highleyman established not only a friendship, but also a working relationship. Locke formed the Fidelity Mortgage Guarantee Company in March of 1917, and James P. Logan was one of several men on the board of directors. Some of the other board members were also Point View residents. Men such as E.C. McGraw, Clarence Busch, and Frederick Haberman were just a few of Highleyman’s neighbors who invested in the new financial institution and served on the board of directors. At the time James Logan purchased his home in Point View, he was seventy five years of age. The Logans traveled from the northeast to Miami every winter through 1921. However, prior to the start of the next winter season, James P. Logan died in his Asbury Park home on September 12, 1922. He was eighty one years of age. Shortly after her husband’s death, Susan Logan sold their Point View home to William Witham and his wife. The Withams lived in the home for a very short time. Mrs. Witham passed away at the Mayo Clinic in Rochester, Minnesota, following complications from surgery in January of 1924. After losing his wife, William Witham sold the home to Franklin B Jones in September of 1925. The Withams owned the home from 1923 through 1925. Jones moved to the area as part of an expansion of his building supply business into Miami during the building boom of the mid-1920s. Shortly after the devastation of the 1926 hurricane, the Jones’ mansion was sold at auction for $90,000 in February of 1927. Edward “Doc” Dammers, who was Mayor of Coral Gables at the time, served as the auctioneer. Two Point View residents, John Nyhoff and E.Z. Duncan, purchased the home as an investment. In May of 1927, the home changed hands one last time during the 1920s. Wade H. Harley and his wife purchased the home for roughly $135,000. By the time they sold the property, the Harley’s lived at 1412 South Bay Shore Drive more years than all of the prior owners combined. 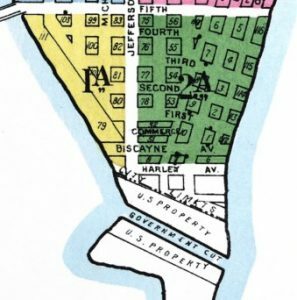 Figure 6: Sanborn Map in 1921 of Harley Street on Miami Beach. Wade Hampton Harley arrived in Miami in 1904 from Orangeburg, South Carolina. Within ten years of his arrival, he was very active in the real estate industry. In a November 1914 advertisement in the Miami Herald, Harley was selling land from Riverside to the Redlands from his office on Twelfth Street. The street name was changed to Flagler Street in 1920. He worked with Carl Fisher to develop Miami Beach. 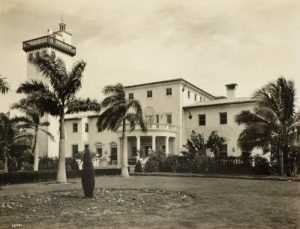 According to Carolyn Klepser’s “Lost Miami Beach”, Harley and his partner, James R. Reid, platted the South Beach Park Subdivision in Miami Beach in December of 1920. This subdivision incorporated the former location of Smith’s Casino. In South Beach Park, Reid and Harley laid out two street names in their honor. According to the 1921 Sanborn Insurance map, Harley Street was located one block south of Biscayne Street and Reid Place ran parallel to the ocean. Both streets were eliminated when the Miami Beach Kennel Club was built on the land in 1928. Harley also owned an area called Seminole Beach. It was located just north of Golden Beach along the ocean and to the east of the inland waterway. He sold the land to N.B.T. Roney, operator of the Roney Plaza Hotel, and James Cox, owner of the Miami News, in July of 1925. The two men platted the land and sold lots during the height of the building boom. When word got out about the availability of lots in Seminole Beach, there was a mob at Roney’s office to purchase land. According to an account in “Miami Millions”, all available lots were sold within six and a half hours. However, before Seminole Beach could be developed, the boom collapsed. Every purchaser of lots lost their deposit. Harley managed to re-acquire Seminole Beach after the collapse. Harley held onto the land until he tried to sell it in 1941. In March of 1950, Seminole Beach was sold at auction at the Bayfront Park Auditorium for roughly $1.1 million. It is now part of the city of Hallandale Beach. Wade Harley spent his last years living in the Dallas Park hotel. He died on October 4, 1963, at the age of seventy five. 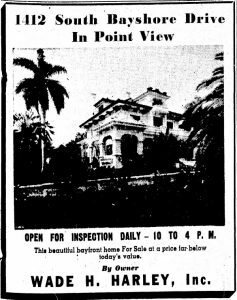 Figure 7: Ad in Miami Herald in 1941 to sell Point View home. In addition to Harley posting advertisements to sell Seminole Beach in 1941, he was also selling his Point View home that same year, according to “For Sale by Owner” ads in the Miami Herald. He was successful in selling the home in March of 1942. Dr. Donald G. Culp of Minneapolis purchased the home for $22,500. Culp was married to a former princess from Austria. Given that the couple lived in a nice home in Coconut Grove, they most likely purchased the home as rental property. The property changed ownership several times during the 1940s. Mr. and Mrs. Luis Bigott of Venezuela owned it for a couple of years following the Culps. Rhea Hayward purchased the mansion in December of 1947. It is likely each owner purchased the home as rental property. A baker, an executive with Burdines, and several others were listed as residents of Chateau Reve from the early 1940s through 1960. During the 1940s, the old Brickell area mansions had fallen out of fashion and were converted to boarding homes and apartments. Chateau Reve suffered the same fate and timing as the McGraw mansion. It was razed in the early 1960s to make room for the Point View North Apartments. The apartment tower and its parking lot occupy the land where both Chateau Reve and the McGraw mansions once stood. The apartment complex was built in 1963 and opened in 1964. It was converted to condominiums in 1974 and later renamed to the Brickell Bay Condominiums. All that is left of the duo of neo-classical revival mansions along South Bay Shore Drive are pictures of an era that has long passed. Book: “Lost Miami Beach”, by Carolyn Klepser. Miami Herald: “Highleyman to Build Costly Residence”, August 5, 1915. Miami Herald: “Large Sales Are Reported”, February 29, 1916. 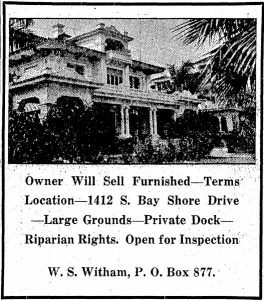 Miami Herald: “Point View Residence Sold to Wade Harley”, May 13, 1927. Miami Herald: “Dr. Colp Buys $22,500 Home”, March 1, 1942. Cover: Chateau Reve and McGraw home in Point View in 1917. Courtesy of From Wilderness to Metropolis. Figure 1: August Geiger designed Fisher home, The Shadows, on Miami Beach. Courtesy of Florida Memory. 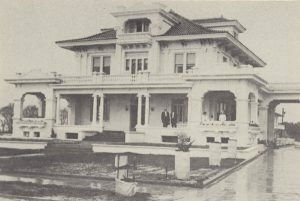 Figure 2: Chateau Reve in 1915. Courtesy of Daly Highleyman. Figure 3: Chateau Reve and McGraw homes in 1920. Courtesy of From Wilderness to Metropolis. Figure 4: Highleyman’s first and second homes in Point View. Postcard. 1 Comment on "Chateau Reve in Brickell Point View"
Wonderful research and information I did not know. My grandfather was Locke Tiffin Highleyman. We didn’t know (supposedly did not know) he lived at the other end of the same block as my parents and baby me in La Jolla until my mother went to the book store and was asked if she was Yvonne Highleyman! But my father ended up living back in Florida in Coconut Grove after divorcing my mother when I was 10 and later he had a very successful marriage to his first girlfriend from childhood, Doris DeGarmo. Yes, the daughter of the famed architect. I will be in Miami for a Vassar Class reunPatriciaion in January. Would love to meet you!